The Supreme Court in M Aamira Fathima v. Annamalai University, has held that Annamalai University is not entitled and competent to devise its own fee structure for medical and engineering professional degree courses without having the fee fixed by the Committee on Fixation of Fee. As many as 150 students who had taken admission in first MBBS course in a college under the Annamalai University for the academic session 2013-14 had approached the Madras High Court questioning fees of more than Rs. 5.54 lakh per annum imposed by the University. Highlighting the enormous difference between the fees charged by the university on one hand and the scale fixed by the government as well as the Committee on Fixation of Fee on the other, it was prayed that the matter for fixation of fee be referred to the Committee in terms of Tamil Nadu Educational Institutions (Prohibition of Collection of Capitation Fee) Act, 1992. The single bench dismissed their plea on two grounds. One was that the students having been admitted to MBBS and BDS courses in pursuance of the prospectus for the year 2013-14, were bound by the terms and conditions contained therein and were therefore estopped from raising any challenge. The single bench referred to Cochin University of Science and Technology and another v. Thomas P. John and others, in this regard. The high court, considering the definition of educational institution as appearing in Section 2(e) of 1992 Act, came to the conclusion that for the purposes of application of the provisions of 1992 Act, the institution ought to have been notified by the state government and an appropriate reference must be made to the Fee Fixation Committee. 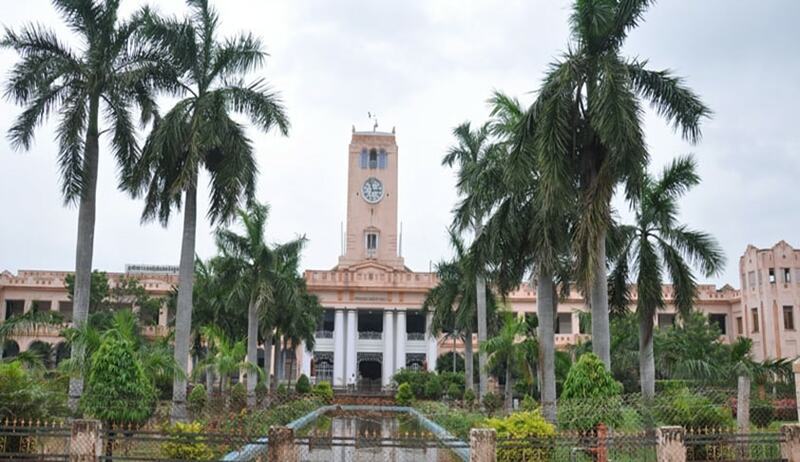 It was further observed that the university was initially established in pre-Independence days and merely because the earlier Act (Annamalai University Act, 1928) was repealed and replaced by Annamalai University Act, 2013, the first limb of Section 2(b) would not apply without the state government referring the university to the Fee Fixation Committee. The division bench of the high court dismissed writ appeals, upholding the single bench order. Before the apex court bench, Senior Advocate Ranjit Kumar, appearing for the students, contended that it was completely erroneous on part of the high court to observe that the provisions of 1992 Act would not apply. A bench of Justice Arun Mishra and Justice Uday Umesh Lalit observed that if there is a course which leads to award of degree or diploma by any university as specified, the concerned institution carrying on the activity of imparting education would be an educational institution within the meaning of said Section 2(b). “If the concerned activity leads to award of degree or diploma by any University established under any law made by the State Legislature, such institution shall be “educational institution” within the meaning of provisions of Section 2(b). The specification by notification is a pre-requisite only if the institution concerned is otherwise not covered under (I) Part. The High Court was completely in error in observing that for the application by the provisions of 1992 Act an educational institution must always be specified by the Government by notification. In our view, the requirement of specification of notification is only in respect of “any other educational institution or class or classes of educational institutions” and has not to be read with (I) part of definition, which part of the definition is an independent and stand alone provision and does not require any specification by the Government,” the bench said. The court also disagreed with ‘estoppel’ view taken by the high court, observing that if a particular modality is prescribed by the legislature any action in defiance or ignorance of such modality cannot be protected or preserved on the plea of estoppel. “The reliance placed on the decision of this Court in Cochin University of Science and Technology 19 (supra) was also misplaced. In that case, students who had taken admission in NRI Quota, thereafter contended that their fee structure be slashed to the same level as applicable to non-NRI students. The concept of estoppel was pressed into service while rejecting said submission but that cannot be a ground to deny the express protection available under a legislation,” the bench said. The bench also directed the university to place the entire material including its balance-sheet and accounts before the Committee on Fixation of Fee within two weeks. It also directed the committee to fix appropriate fee structure for the academic year 2013-14 onwards.